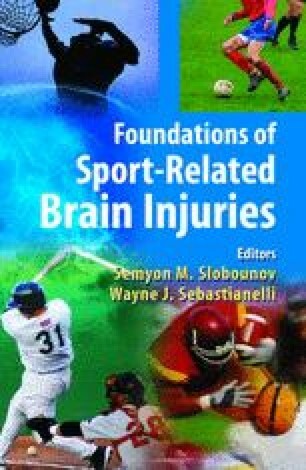 This chapter explores the contribution that electroencephalographic (EEG) recordings and balance testing can make in the areas of concussion assessment and return to play decisions. Current literature in these areas and empirical research that combines these assessment tools is reviewed. Research findings support the view that it is not symptom resolution, rather resolution of the concussion pathology that should determine whether an athlete is ready to return to competition. The current gold standard measures used for evaluation of both concussion severity and return to play rely heavily on measures of loss of consciousness and post-traumatic amnesia. The limitations of these current standards are discussed and a proposal is made concerning how concussion assessment might be improved through the addition of functional motor tests and objective EEG measures that reflect cortical functioning. The combination of electroencephalographic recordings and motor testing allows practitioners to assess two crucial elements of athletic functioning. First, basic physical capabilities of an athlete are assessed via balance testing. Second, neuronal functioning of the cortex is assessed in both resting and task conditions to determine whether the athlete has returned to pre-injury levels of cortical functioning. New research in the field is revealing that by challenging concussed people to perform postural tasks while simultaneous electroencephalographic recordings are taken, insights into long lasting cognitive functional deficits can be revealed. Research applied to frequency analysis, event-related potentials, movement related cortical potentials and injury source localization associated with the electroencephalograph recordings will be presented and commented on, The goal of this chapter is to provide the reader with an overview of the current state of research in concussion assessment and diagnosis and to lead the reader through the groundbreaking work being performed using functional testing paradigms during electroencephalographic recordings. The reader will be left with an understanding of why the combination of motor and cerebral testing is essential in performing a sensitive and reliable measure of concussion severity and return to play readiness.